Most people have had to deal with the death of their loved ones at some point in their life and it can be very difficult. In these hard times even the smallest message or a sign could really help one to make peace with that sad matter. Spirits can manipulate electricity and electrical appliances easily. So look out for the lights flickering or the stereo suddenly turning on/off or phones and other devices malfunctioning in illogical ways. It can mean, that a spirit is trying to connect with you. Definitely look for signs, especially if you are celebrating an event, a loved one may be showing you that they are celebrating with you. When a loved spirit contacts you in a dream, it may feel more realistic than a regular dream. You may even be able to control your words and actions and feel much more peaceful than usually. It is also really common to wake up right after you have received the message from the dead one. So if you do wake up in the middle of the night, try to remember who and what was in your dream. If you want to make it easier for the loved ones to visit you, start writing your dream down in a journal. Also, before falling asleep you can let your loved one know that you are ready for a contact. A stranger in the street may look exactly like your loved one did. It may even look so familiar, that you actually feel like your loved one’s face is applied to another persons face. That may also mean that your loved one is saying hello. This is a common way for spirits to contact their close ones. 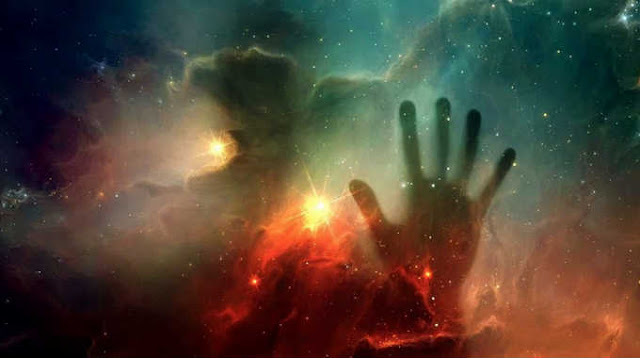 Spirits can also appear in other people’s dreams and if you are wondering, why don’t they just come to your dream, the answer may be quite simple – maybe you are just not ready yet to see them. This is usually caused by grief, which makes it difficult to recognize the signs. When a series of odd things happen in the same day and you keep thinking that it just cannot be a coincidence – it probably is not. It can be a sign from a spirit. Most signs are subtle and almost unnoticeable, if you do not pay attention carefully. The spirit probably will not send a marching band to your house with a sign that says hello from mom, but the hello can be in little things such as someone giving you the spirit’s favorite flowers or you stumble across an old card from her. It many not even be a specific sign and it may not be something you had asked for, but if you are wondering if it is a sign, then it probably is. It is really common for people not to notice the messages and not to understand that their loved one is trying to connect with them. Now that you know the different ways that a spirit can search for connection, you can pay attention to all the details in your life, because a loved one may be saying hello.